Jazzlyn McNally is renovating her grandparents’ house to turn it into a B&B but whoever is sabotaging her hard work is making it hard to accomplish her goals. So when Dalton O’Brien knocks on her door asking for a job, she decides to hire him to help her. But he’s not planning on staying for long, just enough to finish his work so then he can leave to keep running from his demons. Until it gets to a point where he needs to decide between protecting his heart and protecting Jazz. So, what can I say? Interesting, cute enough but not enough to make you fall in love though. At least, that’s how I felt. I feel like neither of them expose their feelings enough which makes it tough to understand their passion and fall in love with it. I think the story is more about the investigation to find out who’s sabotaging Jazz’s B&B rather than their relationship. So there wasn’t enough romance; hence my classification. And that’s pretty much it. But, to be honest, the entire plot to find out the person responsible for attacks on her B&B is quite good though. The author keeps you guessing until the very end and I think it was actually unpredictable the way everything ended. Laura Scott is a new author for me so let’s take a moment to appreciate her writing style! It’s really easy to read and it’s not tiring at all! Overall, I feel like this left me hanging! 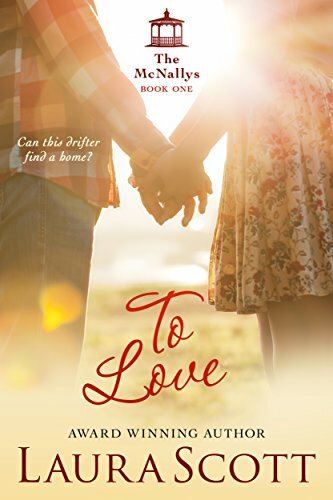 To love is not a story made out of a strong love but is still an enjoyable read!